This necklace is made from ten naturally occurring milky or "snow quartz" crystals that have been smoothed into round beads. They are 2.5 mm or about and inch in diameter and have natural variations in their coloring. Some are snowy white while others have white streaks, striations and more clear areas. 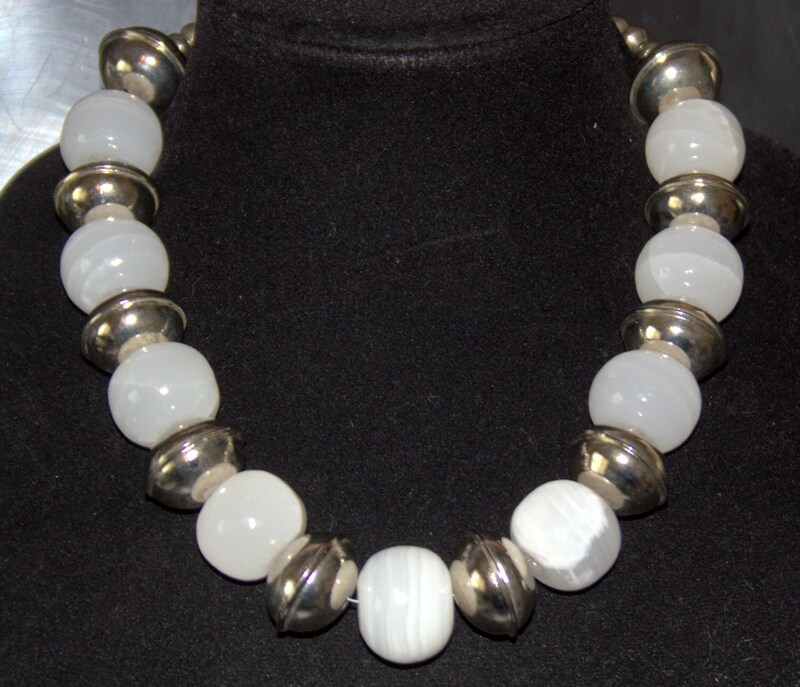 The Bali beads are hollow sterling silver and measure about 3/4 inch or just under 2 mm in diameter. The neckline is made with smaller silver beads and black faceted crystal so the piece lies nicely along the back of the neck. 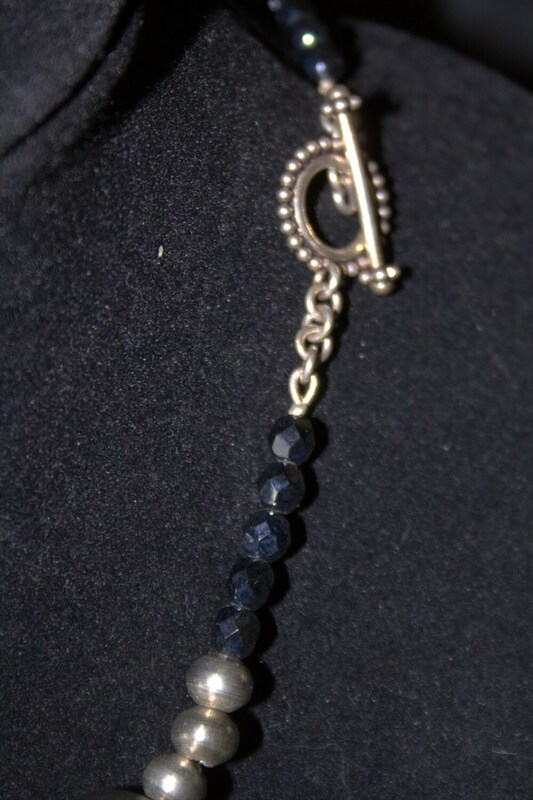 There is sterling toggle clasp on the back of the necklace. The necklace is 21 inches long and lies in the heart line of the neck, just a little longer version of a choker. The beads will warm up after you wear the necklace a while. Since these beads are real crystal, there is some weight to them about 14 ounces in total, but the necklace itself does not feel heavy on.